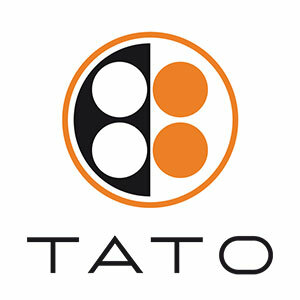 TATO was conceived to do things well. That's our area of business. There's a deep knowledge in actually doing things. For a company that creates lighting and furniture, doing things well means expressing a way of being and a precise attitude. It means designing a personal idea of freedom, something new, something you don't go looking for because you live it everyday. TATO's idea of design translates the long tradition of manual skill, knowledge of gestures and materials, competence and expertise in handcraft that are distinctive marks of Italy into a new economic and cultural scenario that aims towards the future. In any industry, quality can only be achieved through good crafts. The constant manual work on the raw material and all its forms, the surprise and the intimate familiarity deriving from it, result in objects representing characters, speaking to us within an architecture, always feeling comfortable and knowing how to behave. Objects that can keep their value through time. Good design always starts with good people. TATO likes to surround itself with those who are similar to it, but even more with very different people: not only architects and designers, but a large intellectual group inclined to research and experimentation. It's very important to keep relationships with both local artisans and international minds, being always able to confront and share new ideas. A crucial factor is listening to people, always growing in number and in sophistication, looking for history and culture in the things they choose. TATO takes culture into particular account, and likes to dig out from history those objects that look like they are produced today, although they belong to our recent (or maybe not so recent) past.